This popular design is made up of individual units which can hold cards. 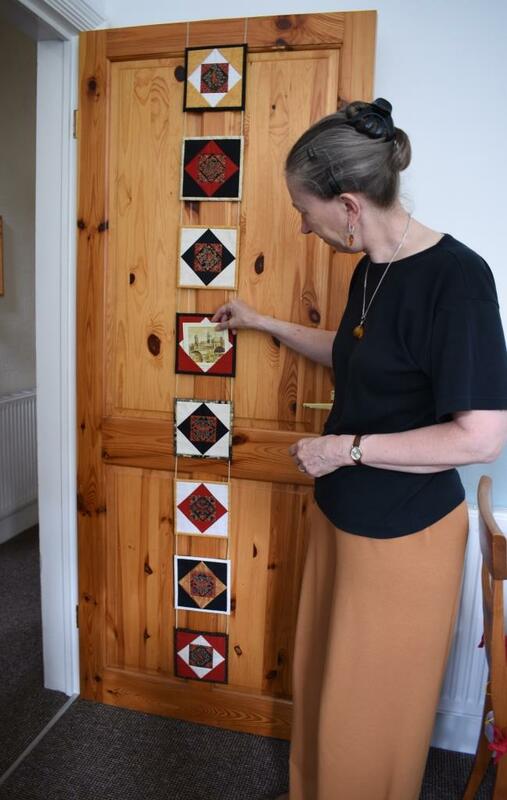 Strung across a wall, or over a door, they are colourful decorations in their own right, but have the added bonus of being useful. The corner triangles are in fact folded pockets, into which a card can be slipped. A cord is trapped within the final binding – if this is trapped in the side binding, the units can hang over both sides of a door. 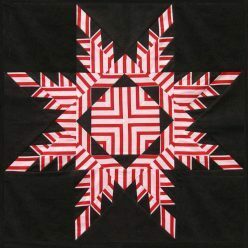 However, if this is done in the top binding, the bunting can be hung across a wall. the number of bunting units can be adjusted to fit your wall. 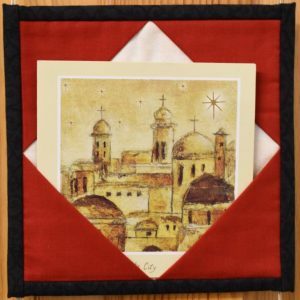 The central square is the right size to use the small 3″ fabric panels that can be bought. This can be replaced with lettering, selected to suit the celebration, such as “Congratulations” or “50 Happy Years”. Or, you could personalise it with someone’s name.